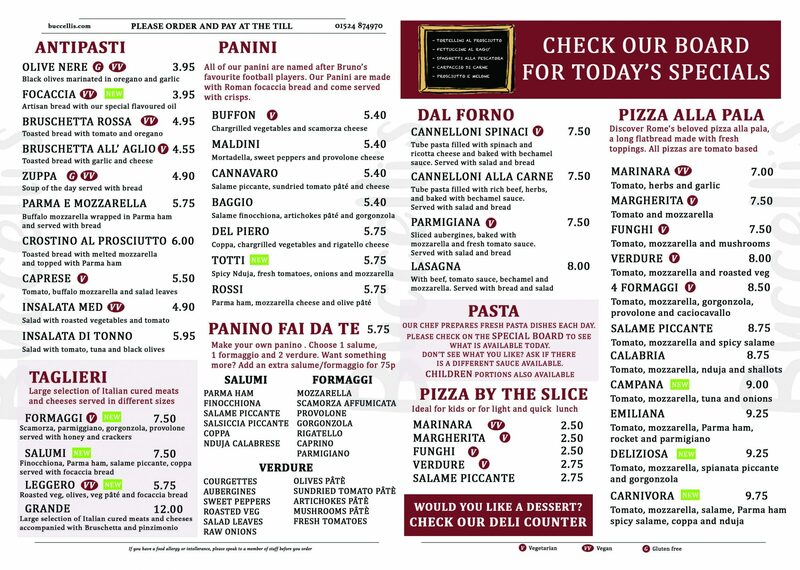 Buccelli’s is the ideal place for a quick lunch or meet with your friends for a coffee and cake or slice of pizza. 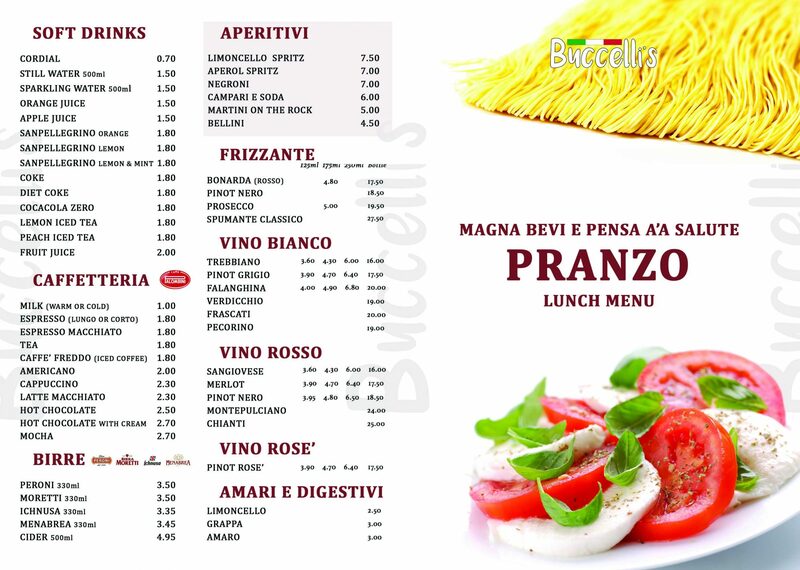 You must try our famous panini made with authentich roman focaccia or if you are feeling particularly hungry try our delicious pasta dish. Also our sharing plate “Taglieri” are made with authentic Italian cured meats and cheeses. Vegetarian and gluten free dishes are also available on our menu.